Hi, I'm Keith Strickland, the founder of SamSam Software and developer of YumYum for iPhone and iPad. I'm an independent software developer with over 12 years experience. YumYum was inspired by my lovely wife Amy, who has worked with children as preschool teacher, and my three year old son Sam, whose nickname also inspired my company's name. Throughout development my main goal was creating an application that made Sammy laugh and want to borrow daddy's iPad one more time. I hope your children enjoy YumYum as much as Sam has! 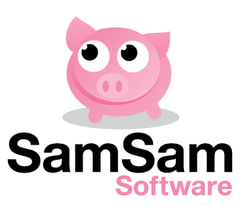 If you have any feedback you would like to share for YumYum, or if you would be interested in employing my services for your own projects, please contact me at keith@samsamsoftware.com.